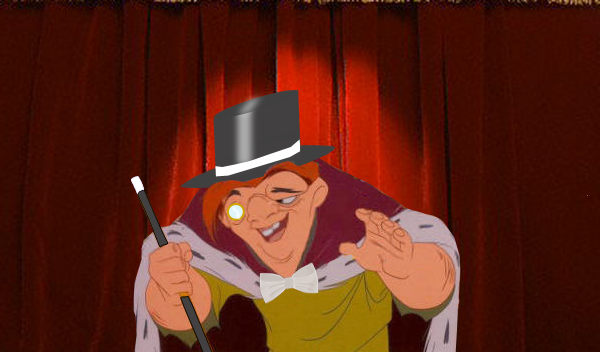 You may not know this but around the turn of 19th century, Quasimodo decided to move out of Notre Dame to pursue his dream of being on the stage. He joined the ranks of Vaudeville where he became a star. In 1922 he got wind that Universal was doing a movie version of Hunchback and he decided to leave the stage and take the plunge into “moving picture” but he lost the role of Quasimodo to Lon Chaney because his movement were to subtle for the screen and he was just too “nice” in his depiction of himself. After that he tried to return to the stage but he never reached the same level of stardom and when vaudeville cease to be Quasimodo once again tried the silver screen. He got a few bit roles here and there but sadly all of his films are considered lost. After 1936 Quasimodo went out the public eye. 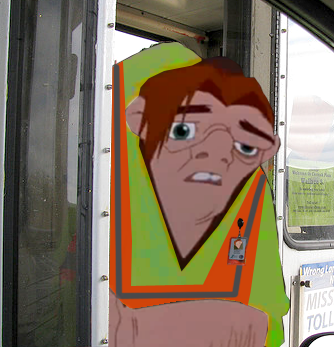 Recently however he was spotted working at a Toll Booth somewhere in New Jersey. Keep a look out for him, you may see him one day.